via Happy Thanksgiving week friends!! It's Monday and it's a holiday week, so that makes me super excited!! I'll get right into this weekend happenings since it was quite fun! //Figured out what apps I'm making for Thanksgiving. 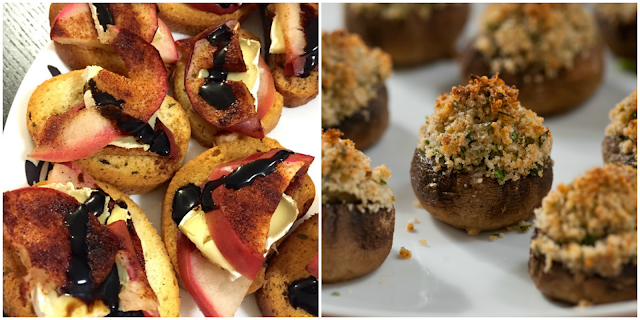 Decided on Apple Brie Crostini from The Sequin Notebook & my stuffed mushrooms! I shared that recipe when I first started blogging and two years later it's still a favorite of mine to make - and everyone else's to eat! 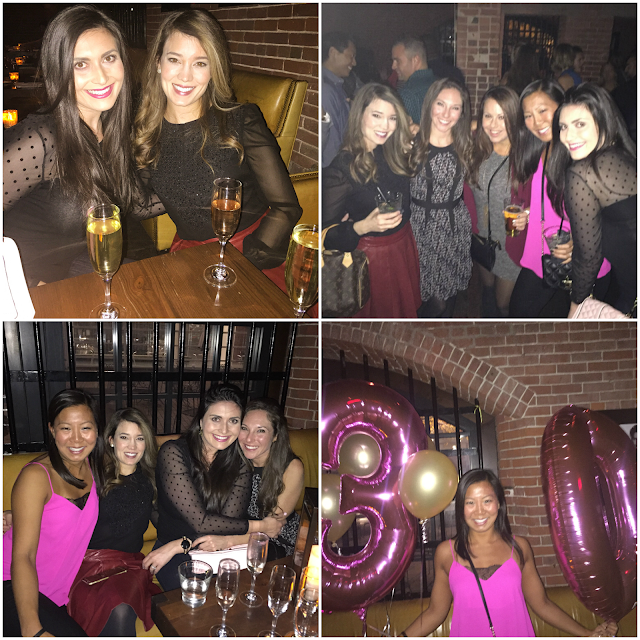 //Celebrated a friends 30th birthday party at the Liberty Hotel!! I've mentioned the hotel and bar here and here - it's always a favorite place of ours to celebrate! It actually wasn't Viv's birthday - she just liked the balloons! //Didn't let a little rain stop me from showing my parents my favorite area right outside of Boston - The Street. I was surprised with how many sales were already in progress with led me to my first gift guide of the season - Stocking Stuffers! I find that stocking stuffers are fun gifts that people either don't want to buy for themselves or are things they need, but didn't know they needed! With gift cards being a given, these are some things I've bought for myself, for Gary and for my family members! //The limited edition mugs - that seem to come out every winter season, so scoop them up this year. We always drink our tea out of ours! //The Swell bottle is really a perfect gift because a lot of people want it but don't want to buy it for themselves! //I don't think it's any surprise that something Kate Spade would wind up on my stocking stuffer list - this all occasion card set is perfect for any stationary lover! //I bought Gary a shoe shining kit last year and he uses it all the time - it's a really thoughtful gift for any special guy! It's 98% natural, so no harsh chemicals! //The Happy Plug ear buds are so much cuter than the usual iPhone ones that come with our phones and a little animal print works for us all! // I have one butter nail polish and love it - this limited edition set has perfect neutrals and two stand out colors! // People laugh at selfie sticks, but they are the best when travelling! Wouldn't you know a certain someone in my family actually requested one!! 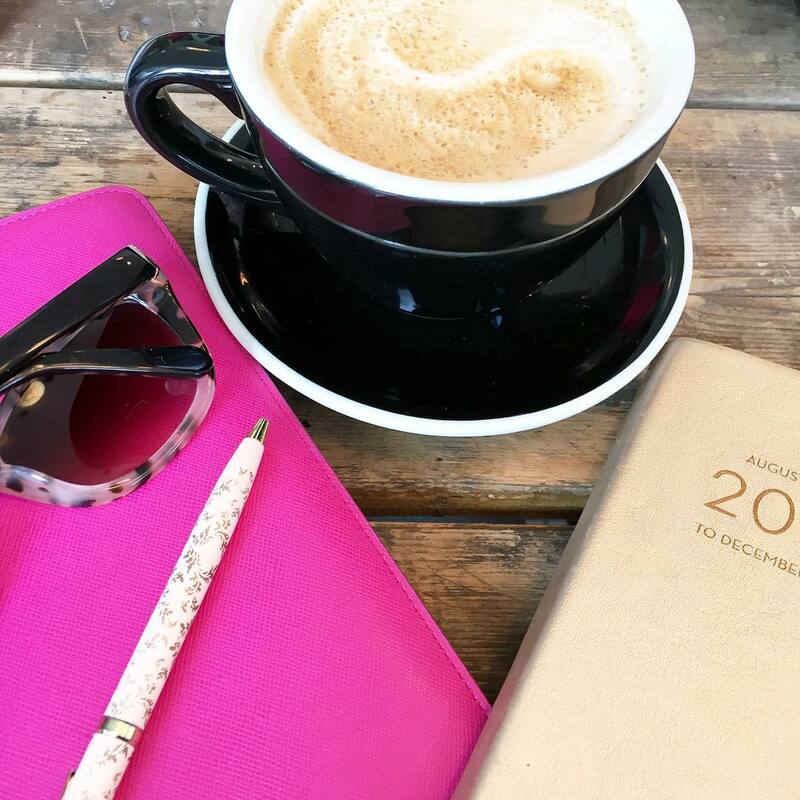 // I swear by portable chargers - I have one at work and in my purse - with all the snapping, instagraming and emailing we do - this is perfect for us bloggers! //I got a sample of this perfume during the Sephora Sale & I have to say there have been few perfumes I get complemented on as soon as I put them on and this one is a winner!! How was your weekend? Have you started with your stocking stuffer gifts yet? No wonder you and your sissy are so gorgeous!!! Your parents are beautiful!!! Your apps are going to be fab...oh those mushrooms, yummy!!! Great stocking stuffer ideas and Happy Happy Monday my friend!! Looks like you had a great weekend...it's always a good one when you get to see family!!! Those apps looks AMAZING. Sooo good! And I love that portable charger. I need to add that to my Christmas list for sure. Great ideas! Looks like a fabulous weekend with friends and family, yay for your parents being in town! And YUM to the crostinis and stuffed mushrooms! Loving your stocking stuffer ideas, I've already been hinting to H about the Swell bottle. I love stocking stuffers as well, and these picks are so great. I've been putting off getting a selfir stick for so long, but I think I finally have to give it. 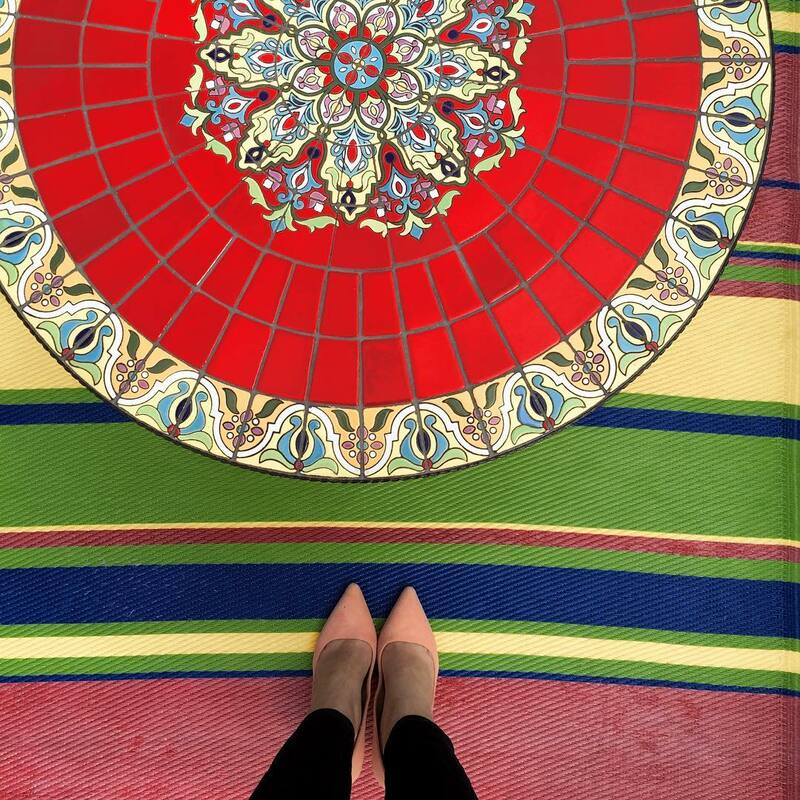 It's so nice to not have traveling selfies taken inches from your face. I'm also loving that Butter London set. I have a few of their polishes (the coveted classics patent set = amazing) and their formula is really amazing! Looks like such a great weekend, spite the rain. I would love to make stuffed mushrooms, but I'm the only one that eats them in the hous. So good! Our stocking stuffers consist of toothpaste and stuff like that. I think I need to up my game a little! Great stocking stuffer ideas! Looks like you had a great weekend. :-) Have a wonderful week! Girl, I have bought literally one gift so far! I have got to get it together!! Your really looked like you had a great weekend! Your snaps from the trampoline park were hilarious!! Happy Monday! Love that coffee sign! I love my portable charger and got one for my sister this year, great stocking stuffers!! Happy Thanksgiving Week!! That shoe cleaner kit and the portable chargers are genius!! We always try to have cords everywhere so we don't run out of power! It's one of my husband's biggest pet peeves! Looks like an amazing time with the family! I've been seeing some really great deals on the Liberty on hotel tonight's app! Every time I see the Liberty hotel, I think of the first time Mark and I traveled to Boston together and stayed there. It is such a cool spot. The history is unbelievable right? Great stocking stuffer list, I love my S'well bottle! Both of those apps look delicious! Definitely saving those for future parties! You look just like your mom! You're both gorgeous! Looks like such a fun weekend! Those are GREAT stocking stuffer ideas--love those Anthro mugs! another great weekend--best donuts in boston? awesome! my initial mug is one of my fave things ever. love it! and the battery juice pack is such a hit--never can have too many of those! These are all great stuffers. Are selfie sticks all that great? You and your friend had a blast over the weekend. And I have to try the Apple crustini and stuffed Mushrooms. Yum. Enjoy this holiday weekend, B! Love your stocking stuffer picks! And Apple Brie Crustinis? Yum! Yay for Thanksgiving week! What a fun weekend you had! I love the Butter nail polishes-I have one and wouldn't mind another. I hear that water bottle is pretty great too! I love stockings and still fill Chucks each year. It was always my favorite thing to "open" as a child. I am so happy to have finally found someone who loves the Liberty! I took some co-workers there in September and they looked at me like I was nuts!! Thats one of my go-to's every time I'm there! Love those birthday balloons! So adorable! Looks like a fab weekend!! Those balloons are so cute. I love that polka dot top too, where did you get it? Cute pictures with your family too, you are all beautiful! :-) I'm glad that you had a nice weekend and I hope that you have a great day today!! Finding a good donut shop is totally underrated. All those carbs are worth it! ;) the wedding we shot this weekend had 18 dozen donuts ordered for dessert. So amazing!!! :) glad you had a fun weekend with friends and family! Oooh I'm definitely going to have to try the best donuts in Boston! Love these stocking stuffer ideas! I did portable chargers for my bigs last year now it seems I'm the only one without one...maybe Santa will bring me one. Those apps look super yum! Oh a portable charger would be perfect!! Your stuffed mushrooms sound amazing. Glad you had a good weekend, Biana! That party looked SO fun! I love those stocking stuffer ideas, secretly hoping for a selfie stick in mine this year ha! Those apps look delish!! And that portable charger is a great stocking stuffer idea, thanks friend! It definitely sounds like you had the best weekend with friends and family! I need those mugs from your gift guide, they're seriously the cutest and so festive! And those apple brie crostinis from The Sequin Notebook look so amazing, and I bet that they taste as good as they look! I need to try your apple brie appetizer recipe!! And the portable charger is perfect for a stocking stuffer! Looks like a great weekend! I love the stocking gift guide- I feel like I scramble for that. We got a selfie stick for our go pro and it is awesome! You, your mom and sister are so adorable!! And you all look so much alike! I love this gift guide - give me ALL of the gold! You actually listed some great stocking stuffers! Some people's lists are... Not my favorite. Enjoy your short week! Anytime you want to send me some of those stuffed mushrooms, feel free. They look delish! Yay for your parents being in town! That's always so special! OMG those stuffed mushrooms look amazing! I also need all of the stuffers! So cute! Yay for holiday weeks!! I had no shame using a selfie stick in Rwanda but the stares we got! Those earbuds are so cute! And have you ever used a swell bottle? I've heard great things about them. Happy Thanksgiving week! Looks like you had such a fun weekend! Loving your gift picks! So many cute pictures. I love your smile. It's full of energy. And that makes me happy. I need a selfie stick. Great round-up! Sounds like such a great weekend, Biana! How cute are those pink balloons?! Love all the stocking stuffer ideas, I've heard that perfume is amazing, I need to try it! Happy Monday! Perfect weekend!! Family, donuts, sales... What more could you ask for?! 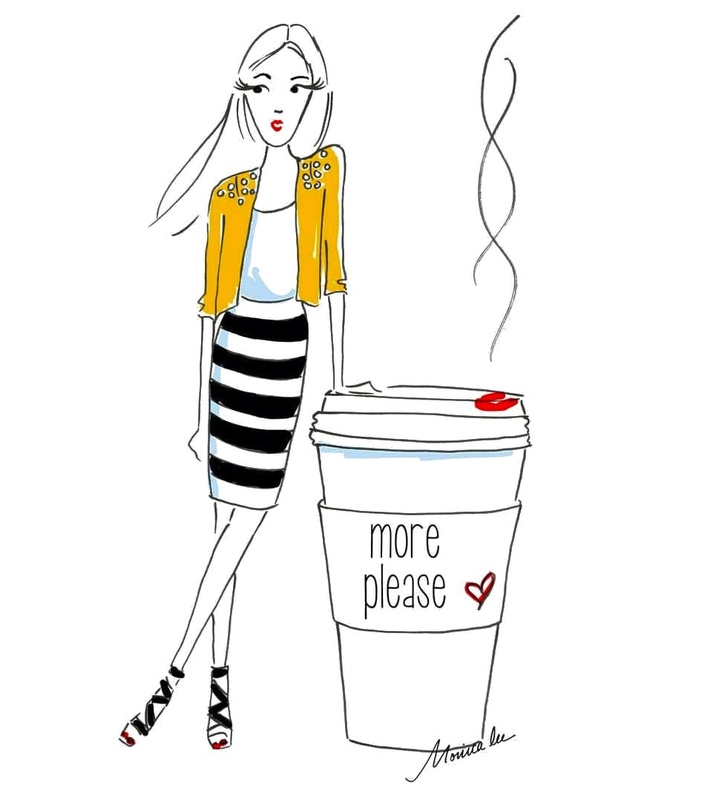 ;) Happy Monday! Aw what a fun time with your mama and sister taking selfies. Everyone is so pretty! Sounds like a great weekend with family and friends. Nice stocking stuffer ideas. I need to buy myself a selfie stick already! Sounds like a great weekend! 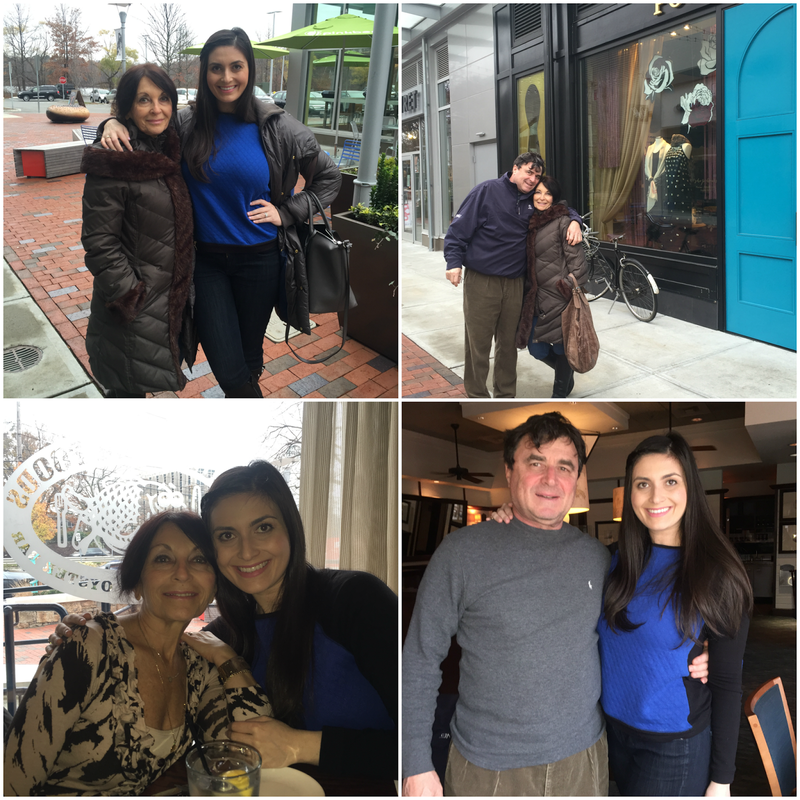 Its so exciting that your family is in town...it must've been so fun to show them around Boston! I hope you have a great week! Haha I am so behind on shopping. I have several things for my kids but that is about it. I feel like a lot of people are going to get gift cards this year..again ;) Have a great week! Oooh I love your stocking stuffer ideas! I have a S'well bottle on my list for a favorite things post going up after Thanksgiving, too :) Also, those appetizer choices for Thanksgiving look perfect! All great stocking stuffer ideas! I would add that J. Crew and J.Crew Factory always have great items that they keep lined up right by the checkout--perfect impulse buys that make great stocking stuffers! Wow! Looks like a jam packed but really fun weekend :) That Apple Brie Crostini looks really good! I loveee Brie! What a fun birthday celebration it looks like you attended! And those apple brie bites look fantastic! Happy Monday!! So glad you had a fun weekend with your parents!! Despite the rain, still looks like it was a great time! And I want one of each of your stocking stuffers! I just got my first Butter London polishes and I am obsessedddddd... think I may have to pick up that pack, too! Have I told you lately how much I adore your hair?! I love stuffed mushrooms! Maybe I can get them added to the menu over Thanksgiving or Christmas. Looks like you had a really great weekend. Yay for sales! So nice you got out to explore though Sunday was cold and rainy. The apple pie crostini's sound delish! Love all those stocking stuffer ideas - I want a few of those for myself! I've already got the Swell bottle on my list! Great picks! It looks like a good weekend with loved ones! I love the shirt you're wearing in girls night out. Looks like another great weekend! I love all of those picks! And lol at the selfie stick... they look ridiculous, but I don't care... I LOVE mine! Sounds like a great weekend with family and friends! Both those recipes look amazing! Looks like you had a fantastic weekend with your family and friends! I love all your photos! I hope you have a wonderful week! Stocking stuffers are honestly some of my favorite gifts- for buying and receiving! I usually buy socks, portable chargers, candy, and if it's a girl, some small cosmetic/beauty thing. Yay for family time! And those stuffed mushrooms look delish- I may have to borrow that recipe! Looks like you had a fun weekend!!!! I am so excited to start seeing gift lists that are popping about!!! I actually have a few started in my drafts too. They are always so fun. I laugh at the selfie stick, but I want one to!!! Stocking stuffers are some of my favorite things to get. Mugs are always a good gift idea! 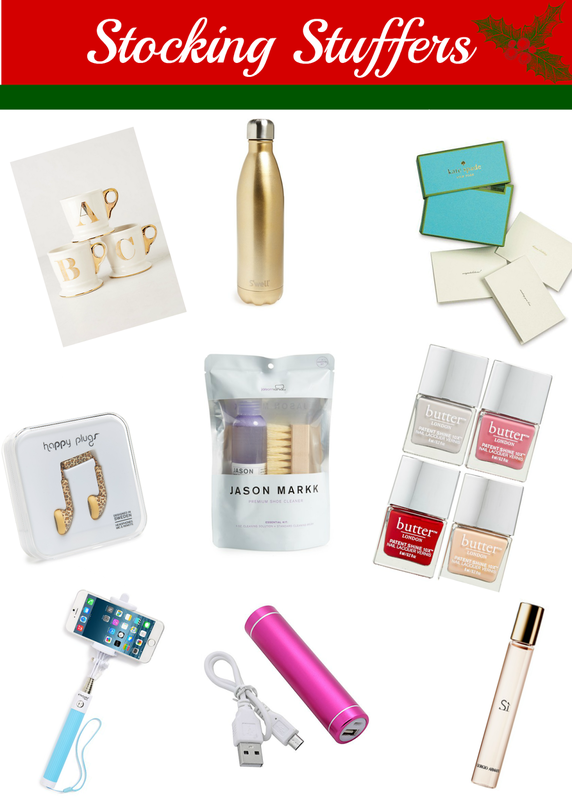 Love your stocking stuffer gift guide!! Those are such thoughtful things for a variety of people especially the swell water bottle or portable charger, I never leave home without mine!! Another fun filled weekend! I love those mugs, I need to grab a few for gifts! Aw you and your mom look so much alike! Those apps look amazing. I need to step up my game this year! I have time off and no excuses. (; Have a nice, short work week! I always love catching up on your weekends! So many adorable stocking stuffers too. I'm glad your parents are visiting you. I love your black top! You found very pretty gifts. I would love to receive the Swell Bottle. I also would like to try the stuffed mushrooms; they look delicious! Have a great week, Biana! Lovely pictures and great picks! The Kate Spade card set is so cute! I’ve never loved Mondays as much as a holiday week – even these days aren’t bad. 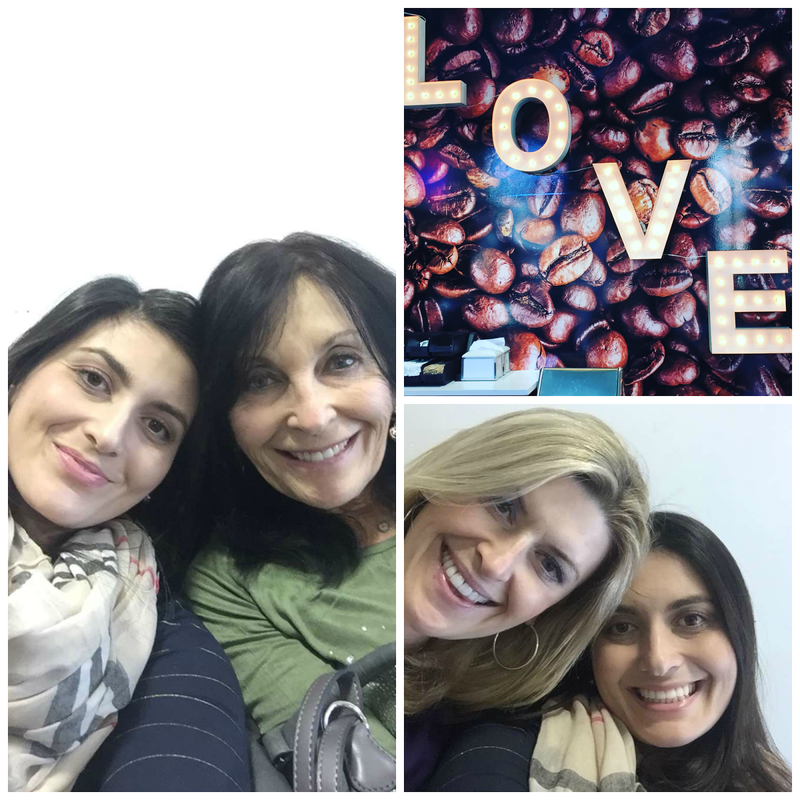 I love that you got in extra family time with your parents ahead of the holiday – the best! Stuffed mushrooms are my favourite!! I had the most delicious ones last spring when I was on vacation and haven't stopped thinking about them. Making them seems so intimidating, but yours look great! Sounds like a great weekend Biana! I'm also really loving the sound of those stuffed mushrooms! Those donuts look amazing! What kind are they? Glad you had an awesome weekend! You weekends sounds like such fun and the donuts look amazing, too! I've been busy busy over the weekend and I can't wait for a day to actually relax! Your mom is gorgeous! And those anthro mugs are my favourite! I have mine on my desk at work and use it all the time! Looks like a fun weekend! I love the sign at the donut shop! Butter London Nail Polish is the BEST !!! I have several and probably won't use another brand ! i got those mugs for my girlfriends last christmas, they are such a fun easy gift! and stuffed mushrooms?! yum. they are my FAVE. What a wonderful weekend. Yes please to stuffed mushrooms, love them. I love stocking stuffers, I like shopping for them so much better than actual gifts. I like to give stockings as gifts and stuff them will small little gifts rather than give one big gift. Great picks for stockings. I've never tried the Butter polishes... glad to hear good things about them because I've seen some really cute gift sets of theirs for the holidays and thought about treating myself to one! I'm so late to comment on this, but it looks like such a fun weekend! Those apple crostini bites looked so good, I can't wait to hear how they turned out! I hope you guys had a great Thanksgiving.